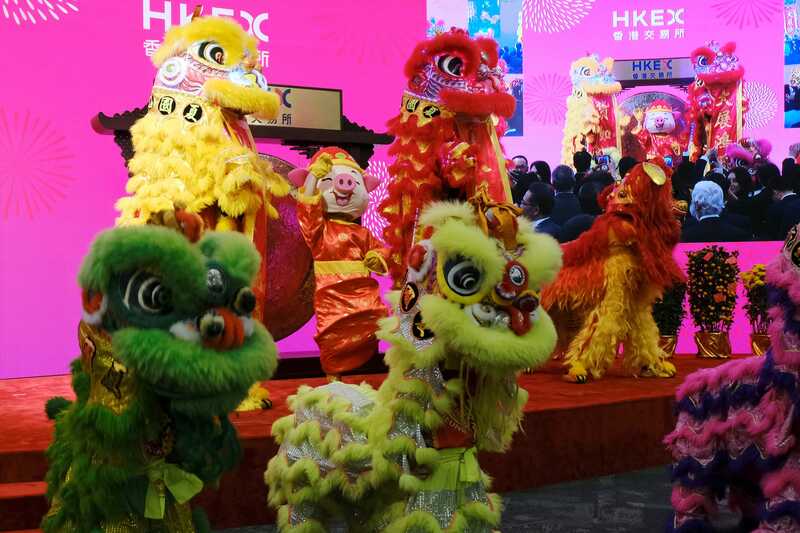 A lion dance is performed during a ceremony marking the first day of trade after Lunar New Year at the Hong Kong stock exchange in Hong Kong, China. Eddie Lampert's last-ditch effort to save Sears wins approval. Sears Chairman Eddie Lampert's $5.2 billion bid to buy the beleaguered retailer from bankruptcy will keep open about 400 stores and save 45,000 jobs. Stock markets around the world were mixed. Japan's Nikkei (-2%) was hit hard overnight and Britain's FTSE (+0.17%) leads the gains in Europe. The S&P 500 was set to open down 0.39% near 2,696.